John Deere Body Parts - John Deere #TY26268 Buff Primer Sealer - 12 Oz. A 12 oz. 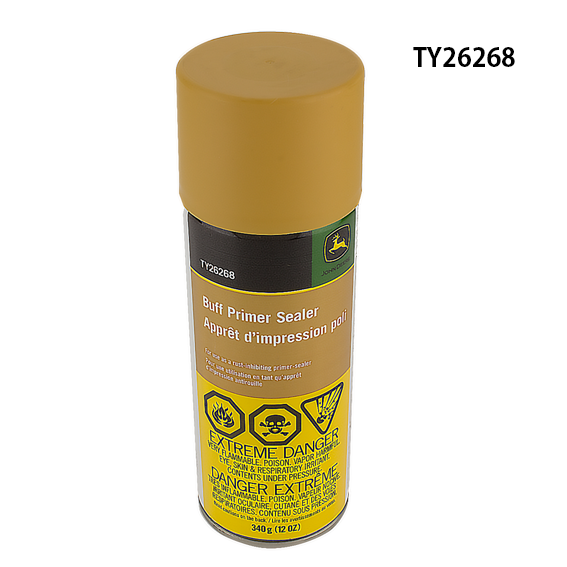 aerosol spray can of genuine John Deere #TY26268 Buff Primer Sealer. This synthetic, low-lead, rust-inhibting, primer-sealer has excellent adhesion and durability. A genuine John Deere Original Equipment (OEM) part.